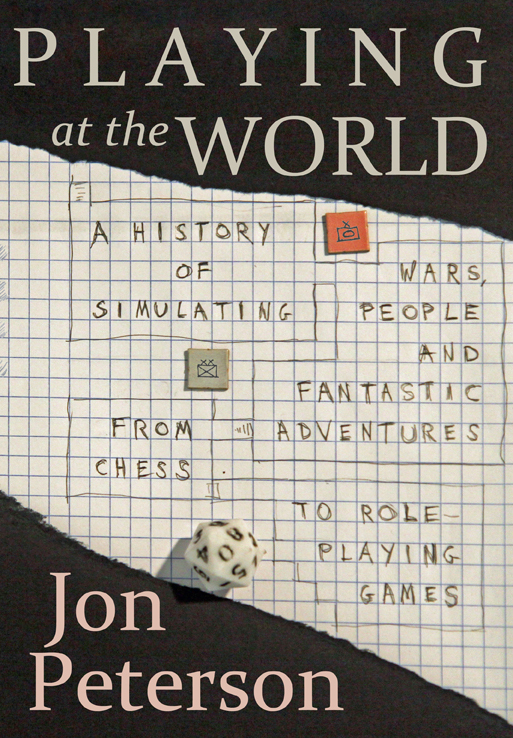 That’s what it feels like digging into Jon Peterson’s Playing at the World: A History of Simulating Wars, People and Fantastic Adventures, from Chess to Role-Playing Games. For any experienced gamer, this is a hoard worthy of any dungeon campaign. It’s no longer groundbreaking to think of gaming as a topic for academic or cultural studies, but while many books have been written about gaming and gamers, they tend to be focused on a particular aspect of the genre, rather than presenting a comprehensive history. Peterson spent more than five years of archival research and writing creating Playing at the World, the definitive history of gaming and, by far, the most ambitious. Though originally published in 2012, Peterson’s book has been reissued in honor of D&D’s 40th birthday. Four decades can offer a lot of history, but Peterson goes even further, tracing its lineage back to chess and existing war games. By Peterson’s own admission, this book isn’t necessarily intended for a mainstream audience. It is a dense, detailed work of history and, if I dare say, sociology. It belongs on the book shelf (or e-reader) of any serious gamer, and though it may not be a front-to-back page-turner, it is an important resource for anyone who geeks out on geeking out. The book’s most important contribution, though, has yet to be realized. In the decades to come, as gaming and gaming studies grow even bigger, Playing at the World will serve as both source material and historical lockbox upon which the future of gaming is framed and its past is preserved. What is it about New England that inspires isolated, small-town horror tales in which the blood runs as cold as the weather? I’m not sure what it is exactly, but having spent many a wintry a night in Maine, I am familiar with that feeling. And I can’t get enough of it. 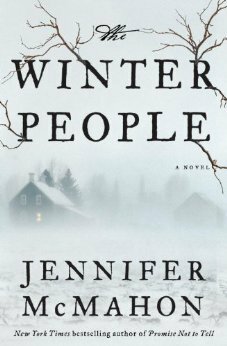 Jennifer McMahon captures that frostbite feeling perfectly in The Winter People, a heartbreaker of haunted legends and legacies, curses and karma, and, more than anything, unendurable loss. The Winter People has a dual narrative—a modern-day mystery in which a teenager, Ruthie, is forced to take charge of her little sis when their mother goes missing. While searching for her mother, she stumbles upon the diary of Sara Harrison Shea, who lived in the house in 1908. The diary does not have a happy ending. Both Sara and her daughter died in 1908, but the journal entries suggest that death is not exactly the end of the story. The Winter People is well-written and bursting with heart. There are mysteries at every turn, and reminders that grief can be deadly. Or worse. In one of the book’s most haunting devices, Ruthie discovers that her mother has nailed shut her closet from the outside. For what purpose? Let your imagination go wild with that one. The soul of the book, though, is the “sleepers.” Ruthie learns of a spell that will raise the dead for seven days’ duration, after which they are gone forever. It’s a universal temptation. Wouldn’t it be great to say a proper goodbye to a loved one who died suddenly? To hold a lover’s hand just a little longer? To actually say the things we think to say only after it’s too late? Or would it be a daily torment, watching the minutes and hours crumble to dust? But there is always a price. Like a modern retelling of “The Monkey’s Paw,” there are consequences for disrupting the dead, and The Winter People reminds that despair can drive even the most sensible among us to dangerous depths. That’s what makes this novel so endearing. And so heartbreaking. Valerie Martin’s new novel, The Ghost of the Mary Celeste, is a bit like a star-studded variety show. It’s got a little bit of everything: maritime mystery, historical figures, supernatural subterfuge and… Sherlock Holmes? The oddest part about the above description is that this book is more fact than fantasy. 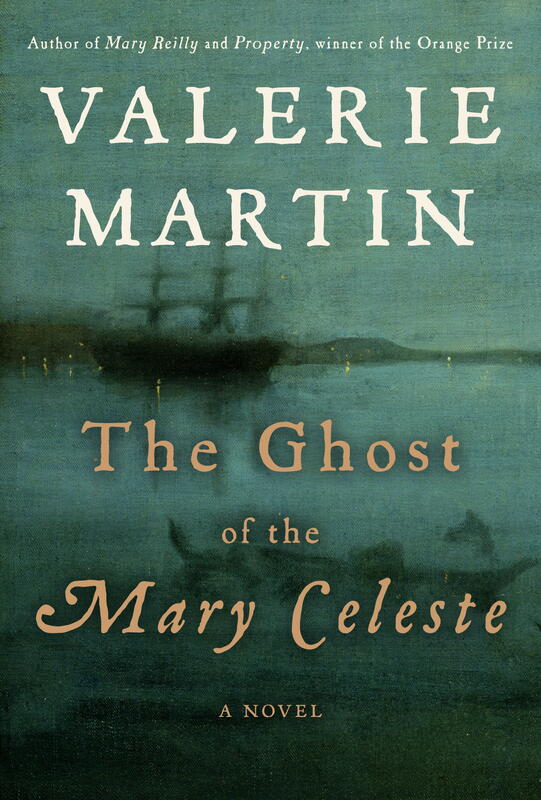 Martin is a prize-winning master of historical fiction (Mary Reilly, Property), and this time around, she takes on the legendary ghost ship Mary Celeste, which was discovered abandoned, though still seaworthy, in 1872, her crew never to be seen again. This true-life mystery caught the attention of Martin, as well as another author (a young Arthur Conan Doyle published a fictionalized account of the ghost ship). The terror is subtle in this novel. Martin makes use of found documents—journals, diaries, articles—to blend the factual with the fantastic. She meanders through time, takes on the social norms and issues of the day, and makes use of historical record real and imagined. She thrills us, certainly, but unfortunately leaves us with a tangled knot of loose ends. There is no doubting the quality of the writing. Martin is a master storyteller, and her opening chapter is as harrowing as anything I’ve read this year. She places us in the heart of the Mary Celeste as it sails toward its destiny. Her words, like the storm, encroach, terrorize and ultimately consume, and after finishing the first chapter, I had to set the book aside for a while. With equal skill, Martin details the lives of those left behind following the tragedy. There is heartbreak, romance and more tragedy on land. Every scene, every line of dialogue, every description is near perfect. This is, however, a challenging book, not in content but in structure. I’m usually a fan of difficult reads—I take it as a sign of respect when an author, such as Martin, asks more of her readership than passive engagement. The narrative shifts through time, location and point of view. Indeed, there is a clever chronology, as the shipwreck segues to the survivor story segues to Doyle’s voyage segues to spiritualism. However, though they’re all linked by the Mary Celeste, the narratives feel more like vignettes. I found myself invested in each storyline, only to have it pulled out from under me with every new section. Nothing felt complete. As much as the writing drew me in, the shifting narrative pushed me away in equal measure. This is just one reader’s opinion. Martin’s body of work speaks for itself. She is a gifted writer and storyteller, an astute chronicler of history with a great imagination. To any reader looking for a challenge, I say go for it. Get yourself a copy and enjoy the ride. For me, though, the novel is a bit like the Mary Celeste—seaworthy, but somehow I got lost along the way.